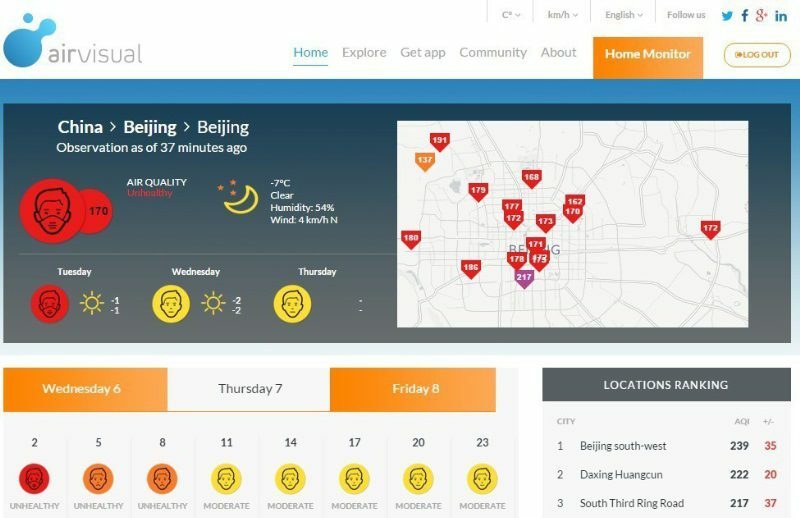 BEIJING, Jan. 6, 2016—AirVisual, a social enterprise providing air quality tools and information, now offers free air pollution forecasts for more than 5,000 cities worldwide. The forecasts are available on both a web and mobile platform to empower residents and business to make healthier and more effective decisions. AirVisual provides the tools and information people need to thrive in polluted environments. By employing big data, artificial intelligence and Internet of Things technologies, AirVisual delivers user-friendly, simple solutions to optimize health and well-being, both indoors and out. To learn more about air quality, its impacts on health and pollution forecasts, please visit airvisual.com.